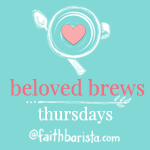 Fulfilled… Book Review & Giveaway! From the opening paragraph of the introduction, I was captivated by the words of author Danise Jurado. She demonstrates our need for God, and His gentle and compassionate heart for those who are hurting. These powerful words speak directly to my heart. For much of my life, I have struggled with feeling unsafe. The promise of safety in the loving arms of my Savior touched something within, sparking hope for discovering deeper levels of healing and freedom. Jurado offers biblical insight and practical advice about learning to live the abundant life. Topics such as forgiveness, restoration, breaking free, and living fulfilled are explored in a way that breathes new life into familiar themes. As I read, I was continually struck by fresh insights, or brought to tears by a renewed understanding of God’s wonderful plans “to prosper [me] and not to harm [me],…to give [me] hope and a future” (Jeremiah 29:11). Fulfilled is authentic. Jurado truthfully acknowledges that the process of learning to live the life God promised can be painful and difficult. “Restoration is often an up and down process” she shares, “…a few steps forward in faith only to fall again”. These words are true to my experience, validating the struggles I have faced in my journey toward healing. Jurado’s willingness to be real, assures me that I am not alone – that setbacks are a normal part of the restoration process. Her words encourage me to persevere. 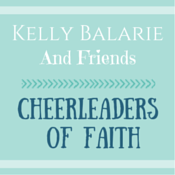 As she shares God’s faithfulness in her own journey, I realize that I, too, can trust in His promises and His love. There is a renewed sense of anticipation within me that the abundant life is within reach – a gift to be accepted and enjoyed! It’s difficult to feel complete when your life is filled with broken pieces. God mends the shattered fragments through the beautiful and sometimes painful process of restoration. Although I have never met the author, it is as if she has peered deeply within my soul, and discovered the deep hurts that are hidden inside. There is a profound sense of being seen and understood. Of being known. Beyond sensing that the author understands, there is a deeper realization that God, the author of Life, sees and understands. That He knows, and cares deeply. Jurado speaks with the powerful voice of experience. She openly shares her journey of walking through dark and difficult times, and describes the biblical path that led her to the fulfilled life. Her insight is further enriched through years of working as a counselor. Her pastoral heart shines through the pages of Fulfilled as she addresses difficult topics with gentleness and sensitivity. How desperately this message is needed in our culture. We live in a world full of broken people, in need of Father’s healing touch. Jurado does a masterful job of sharing the truths that hurting people need to know. 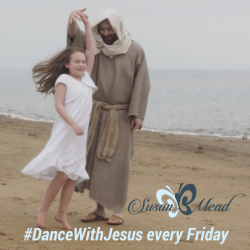 She weaves the gospel message beautifully into the larger narrative, and shares God’s amazing plan to redeem us, and restore our brokenness for good and for His glory. What a wonderful resource! A vital book. Truly insightful. A must read for anyone who wants to find freedom and hope, and discover the life of abundance that has been promised to each of us. Please leave a comment below to be entered into a draw for an autographed copy of Fulfilled. Danise Jurado is donating 50% of the proceeds from Fulfilled to The Dream Center – an organization that walks alongside people as they face issues ranging from addictions and abuse, to homelessness and poverty. They provide practical supports, while also pointing people to the hope and love that is found in Christ Jesus. we do live in a world of broken people and we all need to hear this. Sounds like a great book! Excited that you reviewed Danise’s book. Would love to win a copy! Good luck, Katie. I will announce the winner on August 25th, the day #Fulfilled is released. Sounds like a great book with a much needed message for believers and not-believers alike. I would love to win! This sounds like a great book and cannot wait to read it. You will be blessed, dear friend. I would love to win a copy of Danise’s new book! Thank you for you review. So glad to have you visit Incremental Healing. I hope you feel welcome here, and visit again soon! Winner of the draw will be announced on August 25th. I enjoyed reading your review of this book and recommendation. Indeed spiritual healing is needed and Jesus is the great healer. Thank-you for your comment on my blog. Blessings! Thanks for visiting, dear one. I hope you will stop by again some time! Found you via the link-up! I would love to win this book, it sounds amazing. 🙂 Thanks for the review and opportunity! So glad to have you visit Incremental Healing. I’m glad you enjoyed the review. It really was an amazing book. So much wisdom and practical knowledge. I’d love to have you stop by again, dear one. I’ve heard so many wonderful things about this book, I can’t wait to read it for myself!! Oh, how it will bless your heart, dear Abby. Best of luck with the draw. Check back on August 25th, when I will announce the winner. It was so insightful, with many aha moments. I was particularly impressed with her chapter on Forgiveness – such a tricky subject when talking about deep hurts, but she handled the topic with so much wisdom, yet gentleness. It was amazing. And there is step-by-step advice that makes this such a practical read! the author understands, there is a deeper realization that God, the author of Life, sees and understands. That He knows, and cares deeply. We need to hear these words. To know in our pain, we are not forgotten. 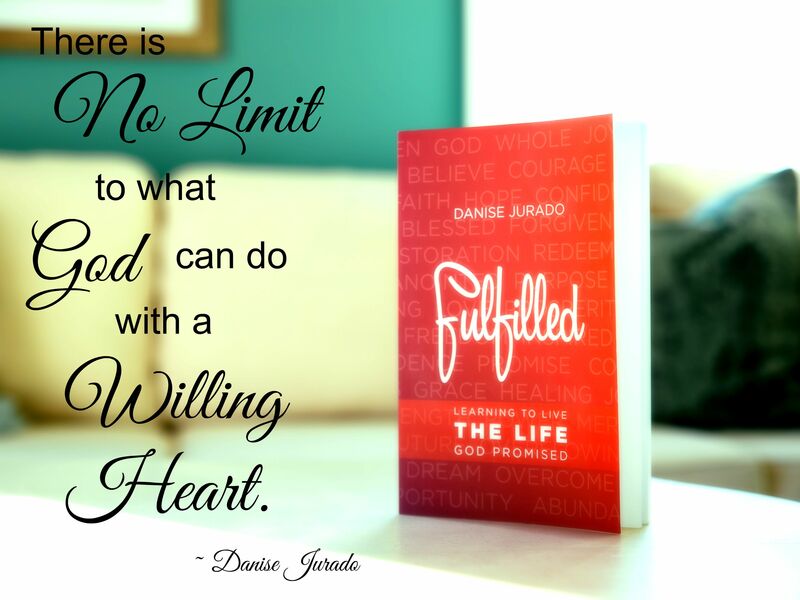 I would love to receive this copy of Danise Jurado book. Yes, He understands. He knows and cares deeply. He is so very fond of His precious children. So glad that you stopped by today. Best of luck in the draw! Please visit us again soon! Thanks so much for your sweet message at Harvest Lane Cottage. I really appreciated it. One daughter’s having a birthday this week. She’ll have her family celebration on her birthday and her friends’ celebration on Saturday. We then will go to another friend’s party. The two others will have their birthdays during the next three weeks. Do you know that your comment came to my e-mail as a “no reply blogger”? That means I couldn’t answer by e-mail. If you’d like to get e-mail responses, check out the post on my blog, http://harvestlanecottage.blogspot.com/2015/01/are-you-no-reply-blogger.html . It will help you. I hope you have a terrific week. I’m going to enjoy Birthday season, then the Fall decorations will go up! Do come back and say hi again! So wonderful to celebrate the blessings God has given us! I have 7 children myself, and love the joy that they bring to my life! Thanks for the link, I will be sure to check it out. Sounds like an amazing book! I recently read Own Your Life by Sally Clarkson, and had a similar experience. I will have to look for this book! I’m so thankful to be able to have you visit Incremental Healing. I hope you will stop by again, so I will be able to get to know you. Thank you for the recommendation of ‘Own Your Life’. I will be sure to check it out! Sounds like a beautiful book! 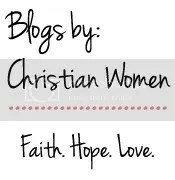 So happy to see so many writers sharing about Fulfilled on the linkups today:) This is a message all women need! Thank you for sharing your thoughts on the book. Can’t wait to read it! Isn’t it wonderful to see all the buzz for #Fulfilled. It really is such an amazing resource, that will point the way to healing and fullness in Christ. I am excited to think about all the lives that will be changed for the kingdom! Best of luck in the draw. I will announce a winner on August 25th. Awesome Giveaway! Thank you for having it!! You are most welcome! Best of luck. Check back on August 25th, the book’s release date, to see the winner announced. Sounds like a great book. One I definitely need to read!! Thanks for following Incremental Healing. I look forward to connecting, and getting to know you. The book is amazing! Good luck with the draw! You are most welcome, sweet Dolly. You are right about the need for children to feel safe. Right from birth, we start to develop our sense of safety in the world when our parents attend to our crying and our needs. My little boy, who we adopted, was severely neglected during his early months with his biological mother, and the impact is unbelievable from such a short period of time that he has no conscious memory of. It’s very sad to see the devastating impact that sin can have on one so small. This sounds like a wonderful book and a great resource for those of us who work with hurting people (I guess that would be just about everybody, right?). Unfortunately true, Anita. I spoke with a gentleman recently about a healing ministry that I am considering becoming a part of. He made an interesting comment, saying that everyone has brokenness in need of the Father’s touch, but not everyone knows it. He said that some people are coping fairly well with life, and are unaware of their need for healing, but that in fact those who realize they are broken have an advantage in the sense that they are more likely to live lives that are dependent on God. An interesting thought for sure! So glad to have you visit Incremental Healing. Your words are so true, sweet friend, that only God can restore and make us whole! I hope you will stop by again soon! Welcome, dear one. 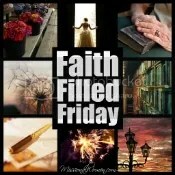 Thank you for your beautiful prayer that Fulfilled would bless many and bring glory to the Father. I pray in agreement with these words of blessing! I’m so pleased to have you visit Incremental Healing. I’m glad you enjoyed the book review. Only 2 more days until I draw for the winner. Good luck! So glad to have you stop by for a visit, Jenn. I’m glad you enjoyed the review. It truly is a wonderful book – full of God’s amazing truths and promises! Yes, I believe this is one of those books that will transform lives, a must read! I hope everyone who has shown an interest in the book will get ahold of a copy even if they don’t win one here! Thank you everyone for entering. #Fulfilled releases today. Order yours today on Amazon. We are all broken in same way or another, more some than others…..but with our Lord Jesus Christ we learn about real love. I’m a work in progress and I’m blessed to have a community of people that will understand me and my story. I would enjoy reading the book Fulfilled! It is a blessing to have you visit here today. I am so glad to hear that you have a community to surround you with His love – a place to know, and be known. What an amazing blessing. I would highly recommend Fulfilled. It is full of wonderful truths. I am so sorry to let you know that the giveaway has ended. I hope you will still check it out sometime. I’m sure you will find it well worth your time. I seen the pray for your son on Facebook. I just had two tumors removed. Cancer in stomach mass. The book looks really good. I would like to enter contest as well mother of 8 homeschooling, going thru a lot. Blessings and Prayers your way!